The California Instructional Quality Commission develops curriculum frameworks, which provide teachers and administrators with guidance for implementing content standards that have been adopted by the State Board of Education. 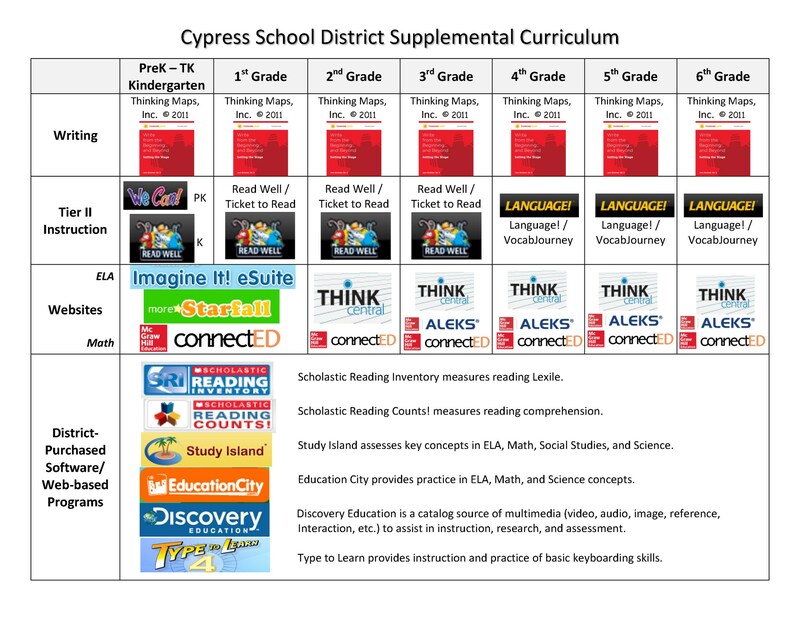 The Instructional Quality Commission also evaluates instructional materials for consistency with the criteria and standards in the curriculum frameworks and recommends instructional materials for adoption by the State Board of Education. Instructional materials are broadly defined to include textbooks, technology-based materials, other educational resources, and tests. 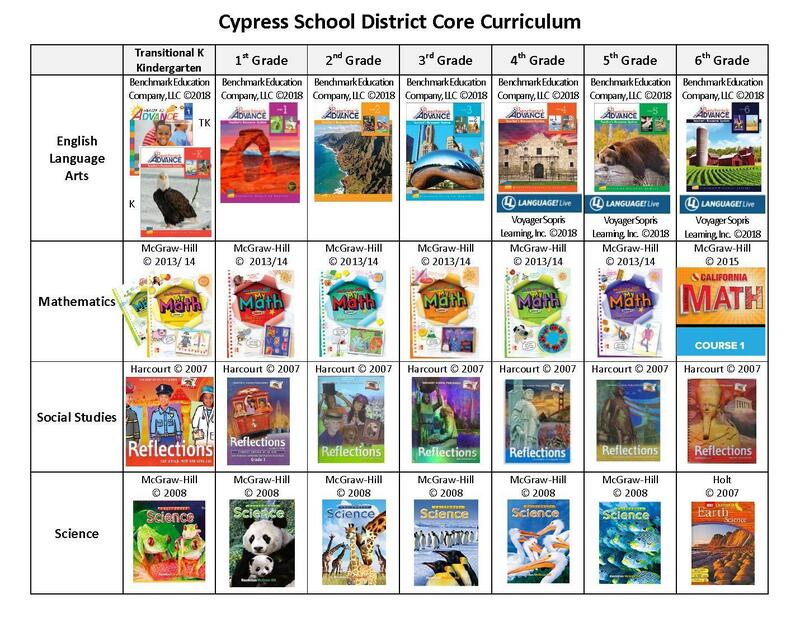 The Cypress School District follows state guidelines when adopting new instructional materials for use in our schools. The district provides teachers and students with high quality, state approved curriculum to support teaching and learning in all classrooms.